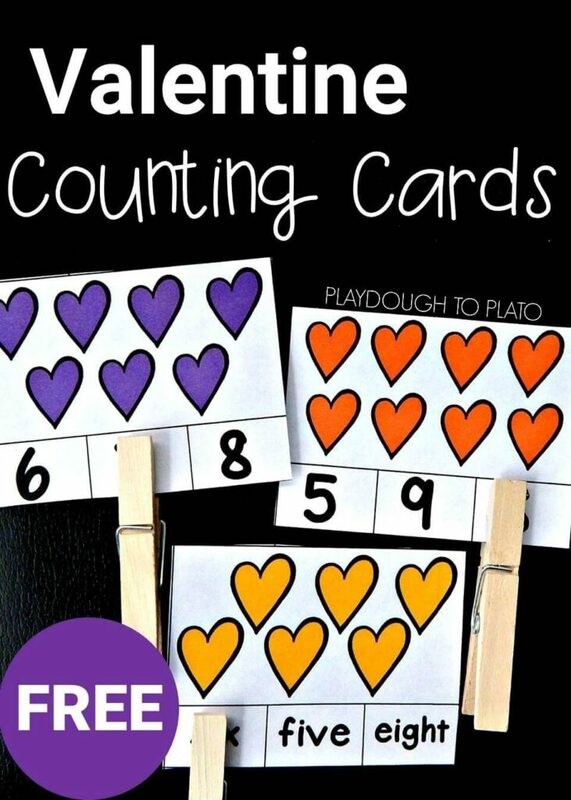 These Valentine’s Day counting cards are a perfect math game to add to your Valentine’s Day collection and they are great for building fine motor skills too! In the mood for more Valentine’s Day fun?! 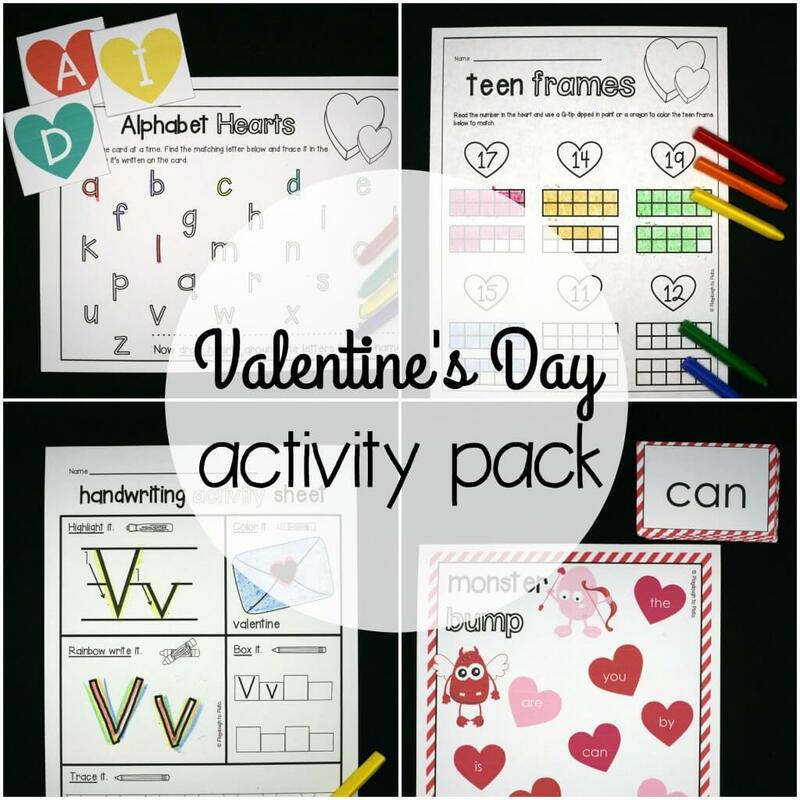 Grab our V Day activity pack for kindergarten and preschool. To prep, I printed a copy of the valentine counting cards (below) and laminated them for sturdiness so that I could use them multiple times. After cutting apart the cards, I decided which set I wanted to use with my students and set them out at one of our math stations, along with a basket of clothespins. 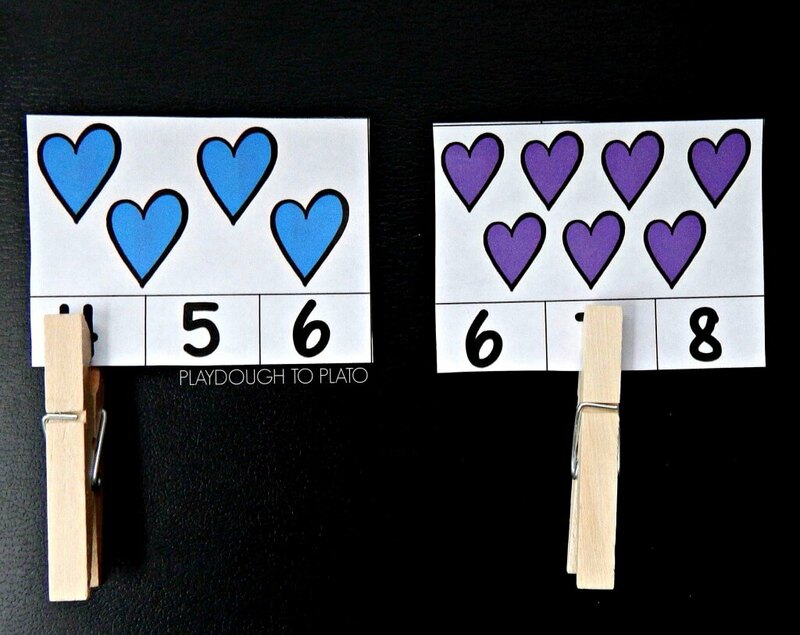 I used regular sized clothespins, but the smaller ones would work fine for this activity as well. 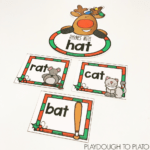 Using the cards is quick, fun, and great for fine motor skills! 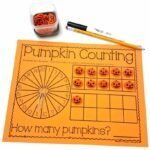 There are two sets of 1-12 included so that your students or child can play whether they are working on number recognition or reading number words. The first set includes numbers 1-12. 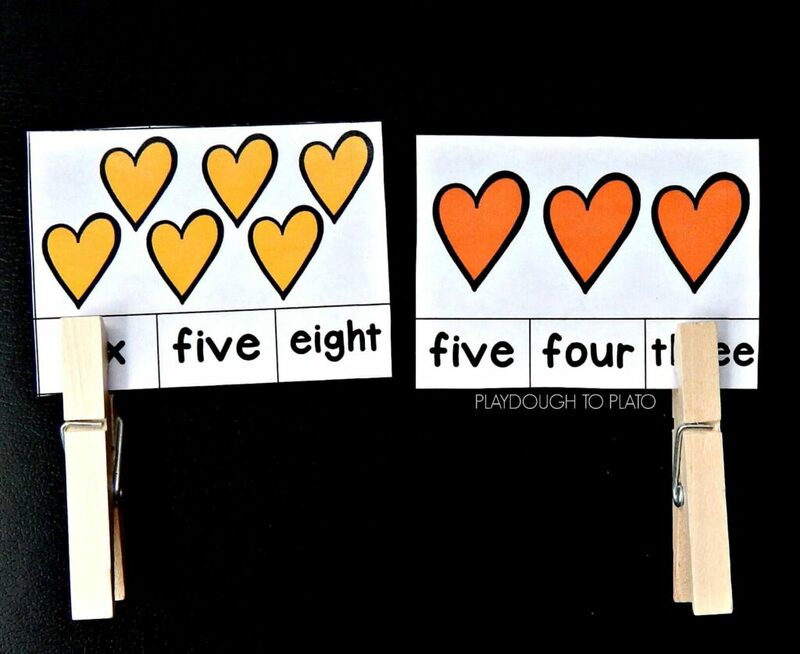 Simply count the hearts and clip the matching number (this is where the fine motor practice comes in). 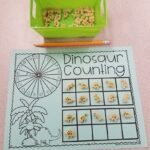 This was perfect for my students that needed a bit of a boost with number recognition, and we also used it for subitizing (instantly recognizing an amount without having to count from one). For my students that are ready for another challenge, we played the number word version! While these students may easily count and identify numbers, reading number words provides a whole new challenge! We played it the same way, but instead of clipping the numeral, they had to read and clip the number word. If you are ready for some count and clip fun, click the button below to grab your copy of the valentine counting cards. Be sure to check out our Valentine’s Day Activity Pack filled with 60+ pages of math and literacy games for preschool and kindergarteners!